Filipino Martial Arts (FMA) are generally known for weapons arts, knives, machete, sword, stick fighting, staff etc. There are a large number of different Filipino martial arts, but the most commonly known arts are Kali, Arnis de Mano and Eskrima. Because the Filipino martial arts emphasize the use of knives, longer bladed weapons and sticks of all lengths the skills of Kali and these other martial arts are extremely useful in our society. Some of the Karate weapons are Okinawan ancient farm tools. Because of this they are not something you might be carrying with you today and if you do they are clearly a weapon. Also there is nothing laying around you might pick up that resembles or can be used like a set of Nunchuks (Nunchuku) or a Tonfa. With knife and stick weapons skills you can also pick up a variety of makeshift weapons from around you to defend yourself or you can have objects with you that are not considered to be weapons but can be used as weapons if needed (for example a flashlight, umbrella or cane can all be used as stick fighting weapons but they don’t make you “armed” like keeping a baseball bat or billy club would and they are essentially the same weapon). To be able to defend yourself affectively you need to be able to use and defend against weapons. The Filipino martial arts are particularly good at weapon skills and weapons defence. The weapons they use are objects that are commonly found in our society because of this they are more useful for self-defense. 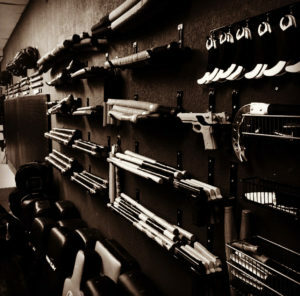 You’re not going to find a sword or spear or set of “Chuks” laying around on the ground to be grabbed as a makeshift weapon during a street attack scenario but you may well find a stick or piece of pipe or an something that can be used like an edged weapon. One of our students, Jeremy, was walking his dog and was attacked by 3 large dogs that were loose on the street. He was able to pick up a branch off a pile of yard debris and use it as a stick weapon to drive the 3 dogs away, saving himself and his dog from injury. 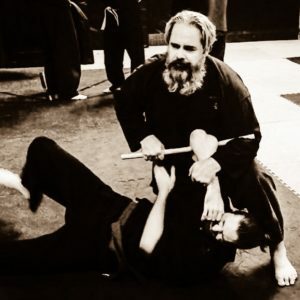 Kali and Arnis And the other Filipino martial arts are a very useful set of skills and a necessary set of skills if you want to be able to defend yourself from common street attacks.